What's the Best Bathroom Exhaust Fan? (2019) Your Definitive Guide. Having a bathroom fan is essential in keeping your bathroom in good condition as well as providing a healthy environment. If you don’t know where to start, finding the best bathroom exhaust fan for your needs can be difficult. Luckily, we have put together this comprehensive guide to bathroom exhaust fans which will hopefully help your decision-making process. Panasonic offers their well known WhisperCeiling fan in various CFM ratings* 50 CFM, 80CFM, 110CFM, 150 CFM. For the purpose of the review, we will be writing about the specs and performance of the 110 CFM fan. The Whisperceilng fan has a number of safety-related features. First of all the fan is UL listed ( for tub/shower enclosure when used with GFCI branch circuit wiring) so has passed safety standards so you can trust that this fan is of a high safety quality. The bathroom fans work hard and because of this overheating and motor failure can be an issue. Panasonic has addressed this issue and is confident this won’t happen and actually, it won’t as the WhsiperCeiling has a thermal cutoff fuse in order to prevent overheating. This obviously helps with the durability of the fan given that overheating causes damage to the motors. 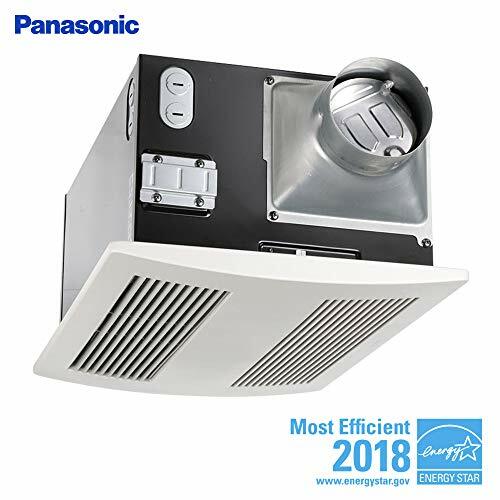 Panasonic WhispherCeiling also (claims) to exceed the standards for ASHRAE 62.2 (independently verified ventilation standards), ENERGY STAR 3.0 (independent voluntary energy efficiency organization), and LEED. 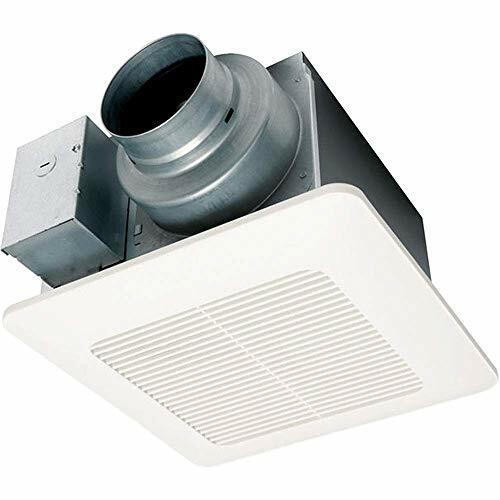 For easy mounting, the fan has an integrated 4 inch and 6-inch duct adapter. Being that the fan is very quiet and does not come with a light if you are looking for illumination perhaps look at the Panasonic Whisper. Some have wired the fan to the light so they can tell when the fan is on and don’t forget to turn it off. Also, you will need to be aware that the fan is made to be Ceiling mounted. Some have wall mounted the fan with modifications however it was not the intended location. 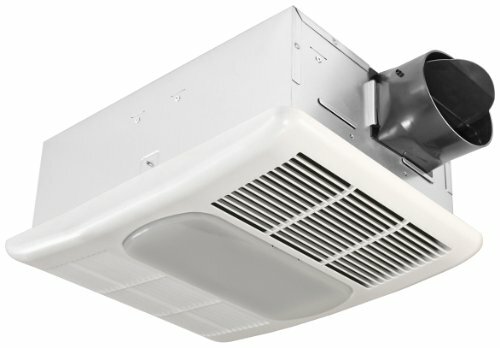 If you are a fan of automation then you the WhisperCeiling can be used in conjunction with a Panasonic condensation sensor, which will automatically turn the fan on and off at certain humidity and temperature settings. As you will need to purchase a switch separately it that a condensation sensor might be something to think about at the time of purchase along with a timer if that is a feature you require. So how loud is it? The manufacturer states that the fan is 0.3 sone at its loudest but general feedback from the majority of purchasers is that it is indeed a very quiet fan. With the Panasonic WhisperCeiling, there was very little that let purchasers down but probably the most common criticism was about the difficulty of installation. The unit is quite big and some found the supplied mounting brackets did not suit for their installation and the instructions provided were not that wonderful according to some. Don’t want a cheap quality fan? According to the purchasers of this fan, Panasonic really does deliver a rock-solid fan with good function, quality build, and durability. Packed with features the Delta BreezRadiance RAD80l is another popular and highly rated fan. Available with a heater, light or LED light it comes with options to suit your budget and feature preference. Using a DC motor the brushless fan is energy efficient using only 7.6 CFM/watt and is Energy Star qualified. With the LED option you can also have a combined lighting and fan unit without the need to have a separate light and fan or having to wire the fan and lighting together. With an external switch, you are able to dim the lighting as well to better control the ambiance of the bathroom. Because it’s a heater as well, does it have a thermostat? Yes, yes it does. However, it is more there for your safety. You can not adjust the thermostat. Many other bathroom fans do not have this feature, but given this is a fan and a heater combined it is an important feature to have. The RAD80L meets cUL safety standards (which is Canada’s equivalent of UL listed) along with being ASHRAE 62.2 Compliant and also UL listed. Being a DC motor it must be quiet? Delta lists this fan as being up to 1.3 sones. This is a little more than the Panasonic 110 but it is still quiet. According to Home Depot, the quiet tower fan measures around 1.5 sones or less, with 1 sone being about the same sound as a refrigerator. For context an office measures about 3 sones. The BreezRadiance has 3 separate functions, fan, light, and heater so require a triple switch. You can also hook the light and fan up to the same switch. Other Delta fans have that rating, however, this fan, which has the heater is not. Any negatives with this fan? Plus one for having a heater which many fans don’t however, the direction the heat comes (about a 45 degrees angle) out is not ideal for a number of people. Where it comes out is also not controllable. Like most other bathroom fans it is not designed as a retrofit, so there maybe some challenges if you are retrofitting. Overall this fan is a solid unit. The Delta BreezRadiance RAD80L is probably best suited for smaller bathrooms and people looking for a fan/heater/light combo. Panasonic is a leader when it comes to producing quality bathroom fans and the Panasonic WhisperWarm is no exception. This 110 CFM model is a ceiling mount fan with a heater and also a night light included which are all controlled by a separate switch. As far as lighting goes the WhisperWarm uses 2x 13 W, self-ballasted GU24 base bulb which is ENERGY STAR rated so you have a highly efficient lighting unit. The motor contains a thermal cut-off fuse which is designed to keep the motor safe from overheating. In some fans, having a heater can cause the motor to work extra hard causing the motor to overheat which damages the motor. The thermal cutoff is what prevents this from happening in the WhisperWarm. Panasonic’s WhisperWarm fan is designed to run at cooler temperatures in order to extend the life of the motor, therefore giving you a longer shelf life of your bathroom fan. 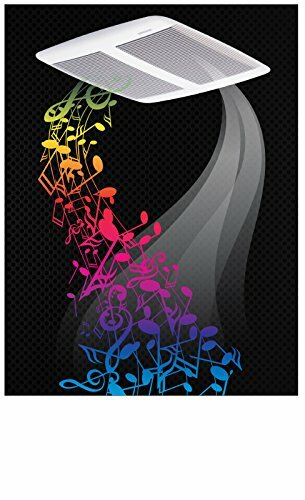 If sound is a big consideration for you then you will be happy to know the WhisperWarm has a .7 sones rating. A refrigerator is generally 1 sone, so 0.7 is a quiet unit. Being a DC motor you can bank on the fan being quiet. Keeping as much heat in the bathroom will save you money and it’s important to keep the bathroom well insulated. Not all fans are rated to, but the Wshiperwarm can have loose fill or bats insulation directly on the unit enabling you to insulate as well as possible. Anything I should be aware of with this fan? The fan is not EL listed for use directly above the bath or shower. Remember it is dangerous to use it in that instance. If you are looking for a motion sensor or humidity sensor you will have to look at another model or look at buying a humidity sensor switch separately. Again, if you are looking for an automatic timer, it is something you would have to purchase separately. Panasonic say that optimal ceiling height for this fan is 8ft. When using the heater, it does not produce heat immediately but rather takes approx 30 seconds to heat up. Check the size of the fan as many found this to be a large unit. How does this fan fare with is purchasers? Panasonic’s WhisperWarm is very well liked by its purchasers with around 77% of people on Amazon.com giving the fan a 5-star rating and only 8% giving this fan a 3 or less. Probably the most common issue purchasers had was around the installation. For some people, the installation was not straightforward and the accompanying instructions not overly great however in terms of the functionality and quality of the unit the ratings speak for themselves. It is definitely one of the best bathroom fans out there. At the risk of this article starting to sound like an advert for Panasonic bathroom fans, we decided to run with an alternative brand. If you are specifically just looking for a fan and light and you do not need any other features then you will want to take a look at the Panasonic FV-11VQL6. The fan has impressively high ratings and like most other Panasonic fans is an extremely good unit. However, if you are looking for something a bit newer to the market it might be worth a look at the KAZE APPLIANCE SE110L2. Being that the light is one of the main reasons you will be purchasing it is important to get the most energy-efficient light bulbs on the market. Many bathroom fans that have lighting do not actually come with LED lighting. The Se110L2 has 2 forms of lighting both of which are LED. First, there is the standard lighting which consists of an 11 watt LED light. Also, the Kaze bathroom fan comes with a nightlight consisting of 2x 2watt LED lights. Both lights and the fan can be wired together or individually. At 0.9 sones it is a quiet fan. The SE110L2 is ETL listed, which means it has passed independent safety testing. 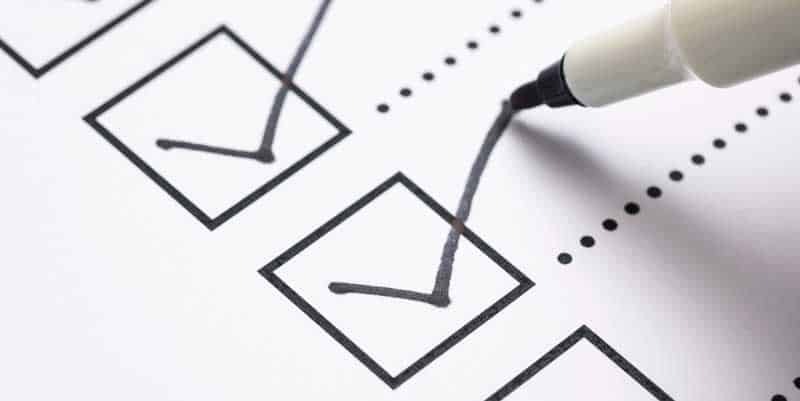 HVI tested, which is an independent safety certification for home ventilation units. There are not a lot of bathroom fans around like this one. With a wireless speaker built into the bathroom fan, you are able to simply pair your phone or tablet to the fan and play your favorite music while you bath. We will get to the speaker part in a little bit but let’s find out how the rest of the fan stacks up. At 110 CFM the fan is at the upper end of power compared to most other bathroom fans. With a sones rating of 1.0, it is also on the quiet end of the spectrum. The fan is IC Rated. Why is this important? Well, fans with lights heat up. With heat comes danger if anything is touching something combustible. With an IC rating, this fan is able to be in direct contact with thermal insulation which will give you the ability to plug any gaps and keep your bathroom well insulated, therefore saving money on heating. An important distinction to make before you install any bathroom fan is to ascertain where the fan is rated to be installed. In this case, the fan is UL Listed and rated to be able to be installed directly over the bath or shower but only as long as it is installed with a GFCI protected branch circuit. As far as energy consumption goes, the Broan SPK110 is Energy star rated so will give you high energy efficiency. So an energy efficient, powerful fan with speakers, how do people feel about it? The most common criticism people had with this fan was that the speaker is tied to the fan in that the speaker will only work when the fan is on. No just using the speaker by itself. It can be wired to override that if you or your electrician has good electrical wiring skills, however out of the box it does not allow for separate usage. In regards to the sound quality general consensus seemed to be that it is ok but not overwhelmingly good. Don’t expect Bose quality sound from this unit. Why would I buy a bathroom fan? If you are fortunate enough to have a nice new and extremely well-insulated house there is, even more, reason to have good ventilation in your bathroom. That airtight room is going to keep any moisture and humidity from your warm baths and showers circulating in the bathroom without proper ventilation. This can cause paint to crack, wallpaper to peel, features to rust among other things. More importantly, though it can cause the build-up of mold and mildew which can have a negative impact on one’s health. If you have a wooden home, this buildup of excess humidity can cause the wood to rot. Ok, so it is important to have a bathroom fan so what should I look for? CFM stands for Cubic feet per meet and refers to how much air a fan can move at the rate. The higher the CFM the more air a fan can move. For the most part bathroom fans generally, come in a range between 50 CFM for smaller fans and 150 CFM for the larger, more powerful fans. Does that mean I should just get the fan with the most CFM? The first thing you will want to do and the fundamental step in determining which bathroom fan you will want to purchase is to measure your bathroom. This article runs through how exactly to measure your bathroom and to determine how much CFM you will want your bathroom fan to have. A simple equation to deduce the CFM needed, once you have your bathroom measurements is to divide your bathroom’s volume by 7.5. Always make sure you have the required CFM or more otherwise your fan will be ineffective at moving enough air and your bathroom will still collect moisture. It might seem logical to get the highest powered bathroom fan but there are a number of other things to consider. First of all, higher powered fans come with a lot more noise. Not to mention a higher price tag. Also, the more CFM usually the bigger the fan. You may not want a monstrosity in your bathroom room. Plus, your fan cannot extract more air than it takes in, so if it is moving more air than is in your bathroom, it has to pull in air from somewhere. What features can you find in bathroom fans? Some fans come with lights, some with heaters and other various features, so while a fan may have the highest CFM, does it suit your needs? Below we run through features you can expect to find in bathroom fans. The are a number of bathroom fans that come with lighting built into the fan. This is great as in some cases you can just replace your current lighting with a bathroom fan with a light. It’s also worth noting the type of lighting that comes with the fan. Obviously LED lighting is preferable as it is more energy efficient so check what sort of lighting it takes. Some are particular about whether it’s white light, yellow lighting, bright or dim so if the fan does not come supplied with what you are after, you may be able to replace with a more suitable bulb. Check with the manufacturer. To extend on the lighting feature which some bathroom fans have you might be able to find a dimmer switch in order to give more control and flexibility with your lighting. A humidity sensor available on some fans allows the user to set a certain humidity at which point the fan will automatically run at full speed. 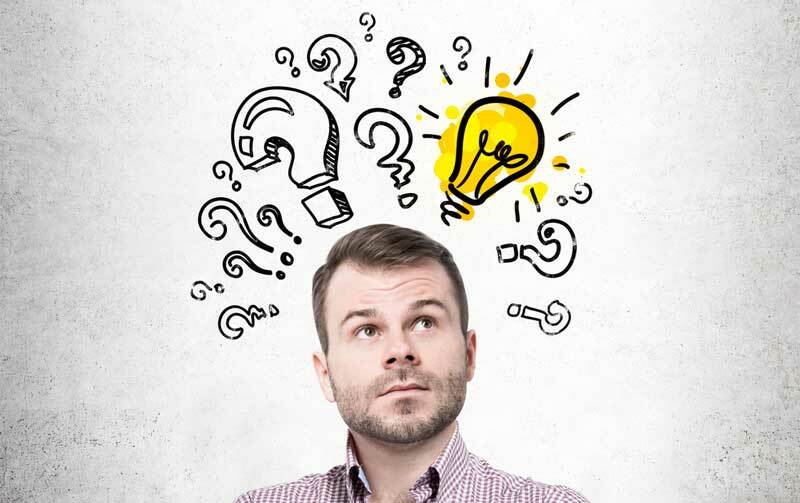 Should the humidity be lower than the set-point, the fan will run at a lower level, also pre-determined by the user. A great feature for hands-off control of your bathroom climate control. A motion detector in a bathroom fan sensors when a person is in the room and if so will run at full power or a predetermined setting. This is great for those that do not want to worry themselves about fan settings and turning the fan on & off. These days fans are getting quieter and quieter almost to the point they are silent. Sometimes this is not ideal as you may not remember you left the fan on and cannot hear it running. There is potential here to leave the fan on for long, unnecessary periods. This is where an indicator light is really useful. With just a quick look you can see whether the fan is running or not. Sometimes you not only need to move remove the humidity from the bathroom but also to heat up the room as well. Luckily there are a number of bathroom fans which have both options available, coming with both an extractor fan and a heater. Options. It’s good to have them. While not all fans come with this particular option, some bathroom fans give you the ability to change the CFM output of your fan. You are also able to purchase separate variable speed controls for some models. No, that’s not a typo there. You are able to purchase a bathroom fan you can connect to wireless and play music through your Bluetooth device. Just pair your phone and crank out your favorite tunes in the bath or shower. Sometimes automation is key. In some models, there is a feature to automatically turn off. This is great for those quiet fans that can be forgotten about and left on for those unnecessarily long periods. What other things do I need to consider before I purchase a Bathroom fan? Yup, you will want enough of a gap in order for the bathroom to ventilate properly. Remember above we mentioned having a super powerful CFM fan and the need for the air it’s moving out be replaced in? That is where the gap between the floor and door comes in. Air can be replaced by being sucked in under the door. Some people have found new fans which are designed for new builds difficult to install due to sizing along with various mounting and ducting issues. If you are renovating an old house you may want to consider looking at a bathroom fan made for retrofitting. It does not mean a new fan won’t work well for you, but it is something to take note of before you purchase. It’s important to consider placement when installing a bathroom fan. If you intend to have the fan directly above the bath or shower make sure, for your safety, the fan is rated for that installation. Using a fan that is not rated for those conditions presents a very real possibility of electrocution. Can it be cased by insulation? Another important consideration to take into account before you buy a bathroom fan is whether the fan is IC rated? IC rated effectively lets you know whether the fan can be in contact directly with insulation. This especially so with heater fans as you unit will heat up, and you don’t want to start a house fire! How about bathroom exhaust fan price? Thankfully there is a price range to suit every budget when it comes to bathroom fans. You can purchase a bathroom fan for as low as $15 and as high as $250. Obviously, the price will be dictated by features and quality but if you do not need all the bells and whistles then that can know a lot of the price you pay. What size bathroom fan do I need? How do I install a bathroom fan? If you are not a DIY type of person it is highly recommended contacting a specialist to install the fan for you. If however, you do have a DIY streak take a look at the following tutorials and videos on how to install a bathroom exhast fan. Where to vent a bathroom fan? It is very important that any ventilation for a bathroom fan is vented outside. Most of the time ventilation will go outside via the attic and through the roof. Depending on your setup some fans can be vented through the wall. Whichever way you decide to do it it must vent outside. Definitely not into the attic. Always check your local codes of compliance. If you have any hesitations get a qualified contractor to install it for you. Below is a useful tutorial on where to vent your bathroom fan. Where to install a bathroom fan? Ideally, you want the fan to be where the most moisture is so first choice would be over the bath or shower. You have to make sure that the fan is rated for that location and is attached to a Ground Fault Circuit Interrupter (GFCI). More on where to install a bathroom fan. 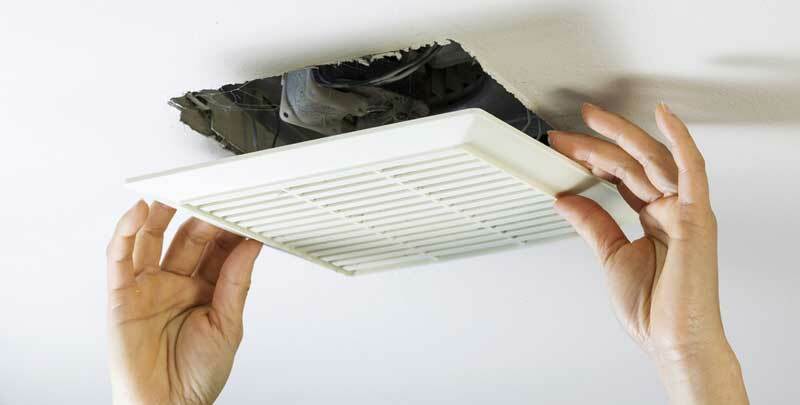 What are bathroom exhaust fans used for? As well as vastly improved indoor air quality, it helps prevent any deterioration of the bathroom materials and walls, saving you money on repairs. What are bathroom fan sones? Sones are a measurement of sound. It is different to decibels and volume in that it measures the comfort of the hearing level. Sones are also linear so 2 sones, is twice as loud as 1 sone. The lower the sones, the quieter the fan is. To give some context 1 sone is about the sound of a refrigerator. Some bathroom fans can be as low as 0.3 sones. Here is a full explanation on sones. We hope this guide has been useful for you! If you think we have missed something, have something you can share or just want to give us your thoughts, we would love to hear from you. to look it over. I’m definitely enjoying the info, cheers. more energy which leads to to lot of inconvenience and expenditure. have a filter changing service. No problem, glad you found the info useful! Great information. 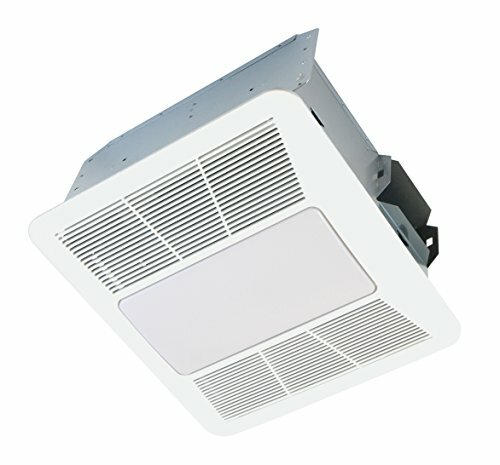 Does anyone make a bathroom exhaust fan that has fan, LED light, heat and bluetooth? Hiya Billy, Thanks for the comment! I haven’t been able to find any that have all 3 of those features. 2 out of 3 aint bad? The below has speakers and LED light.